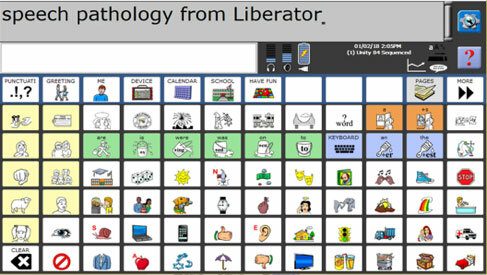 Therapy Services are designed to support people of all ages and abilities in learning how to become more proficient communicators, using Liberator, and other voice-output devices. We support both children and adults who may require AAC for a range of different reasons. Who do Liberator provide services to? People that require support with AAC. At home, school, day program, or in the community. Reports will be provided at the end of every block of therapy.